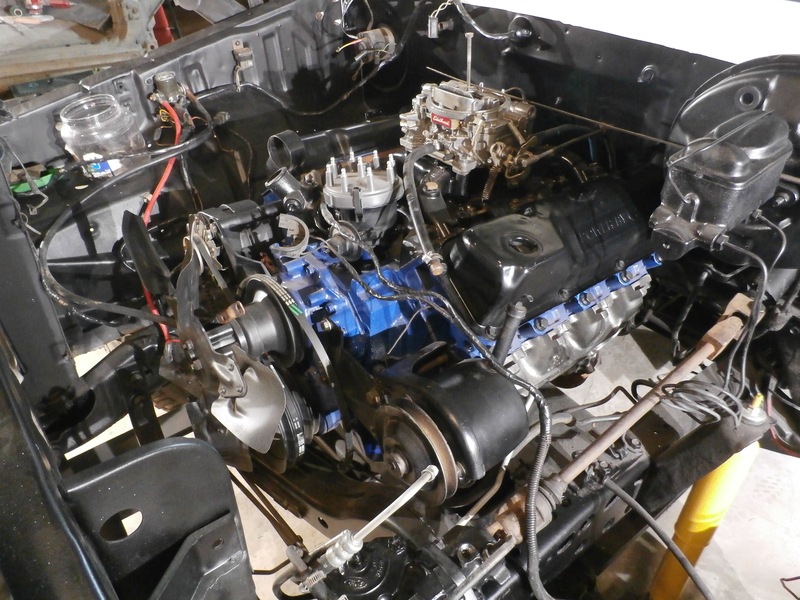 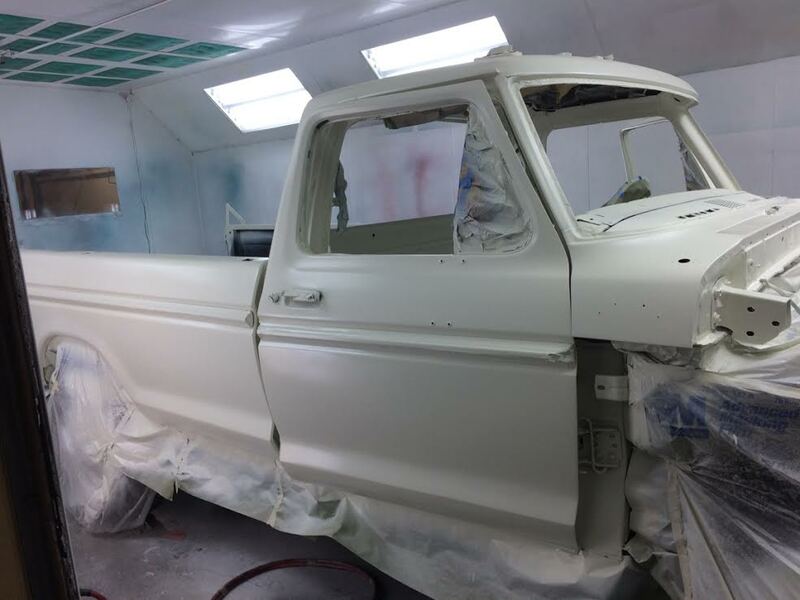 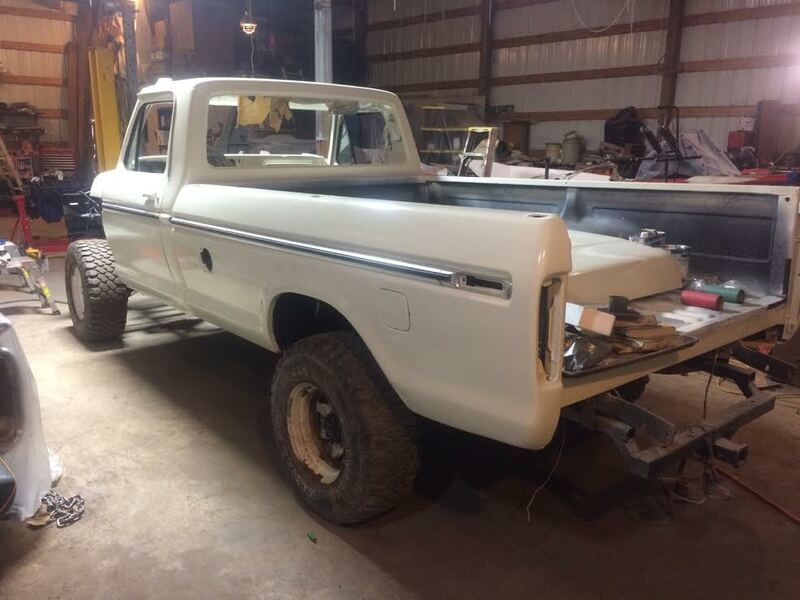 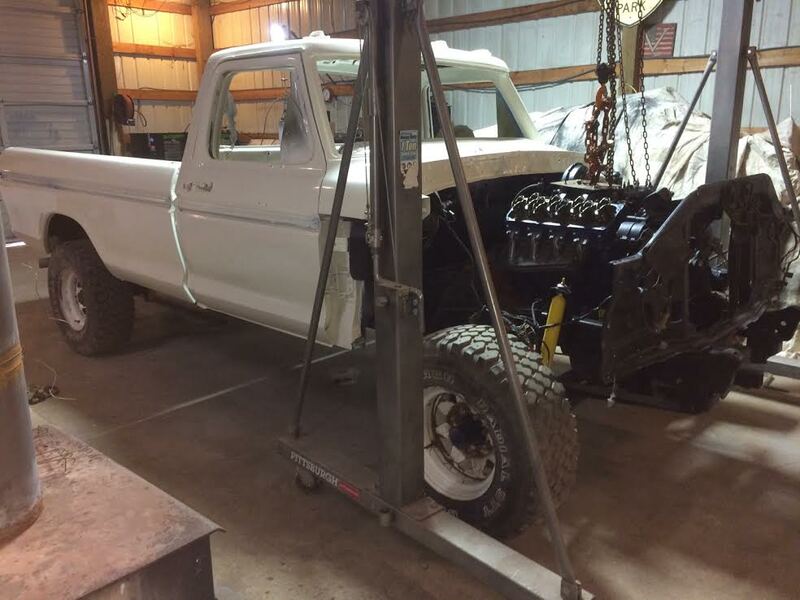 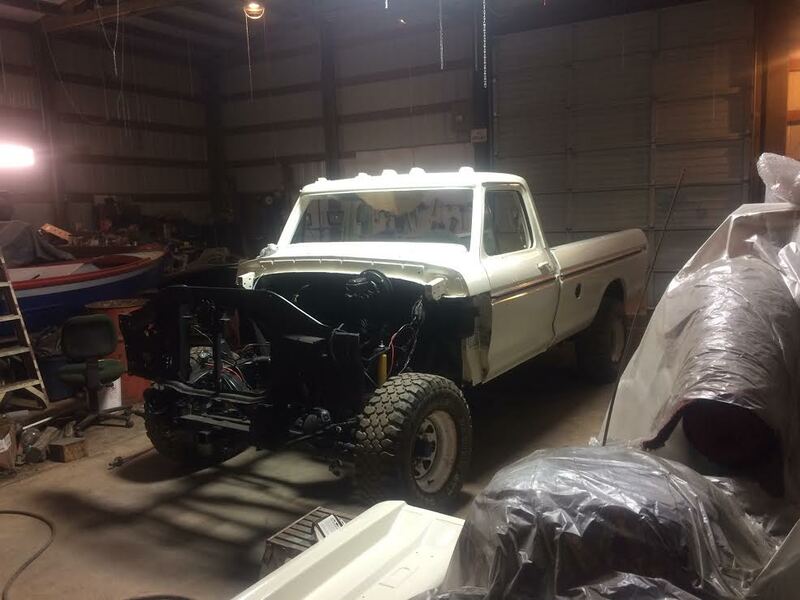 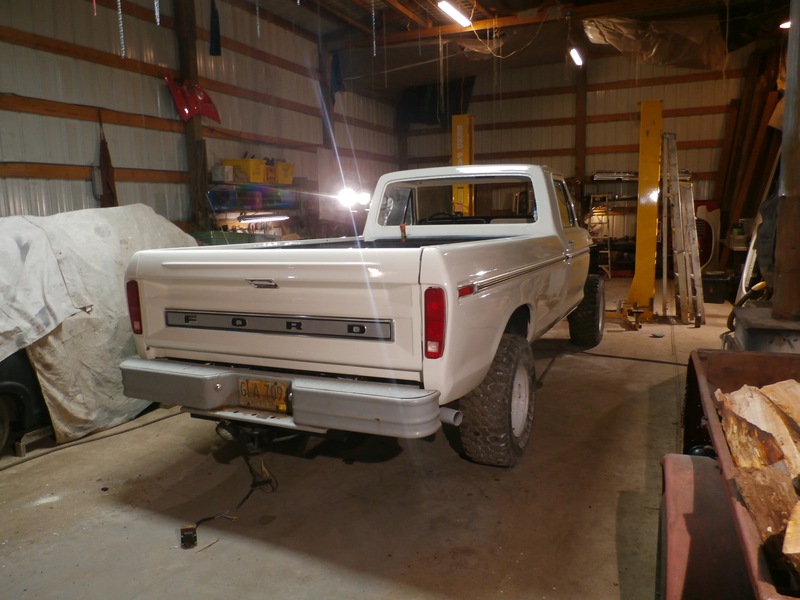 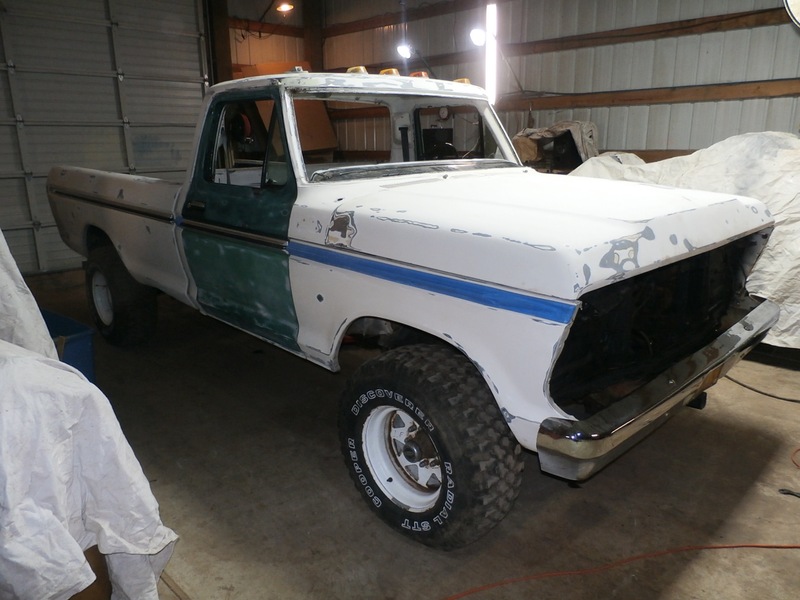 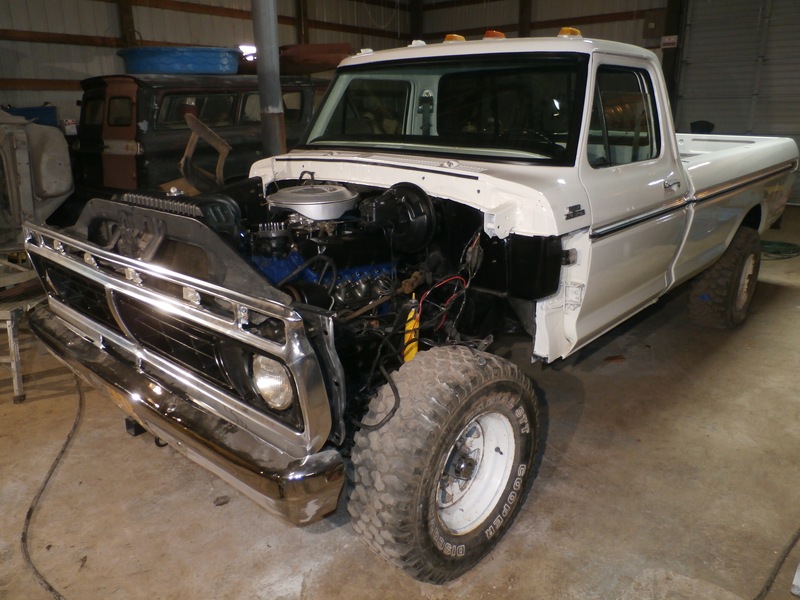 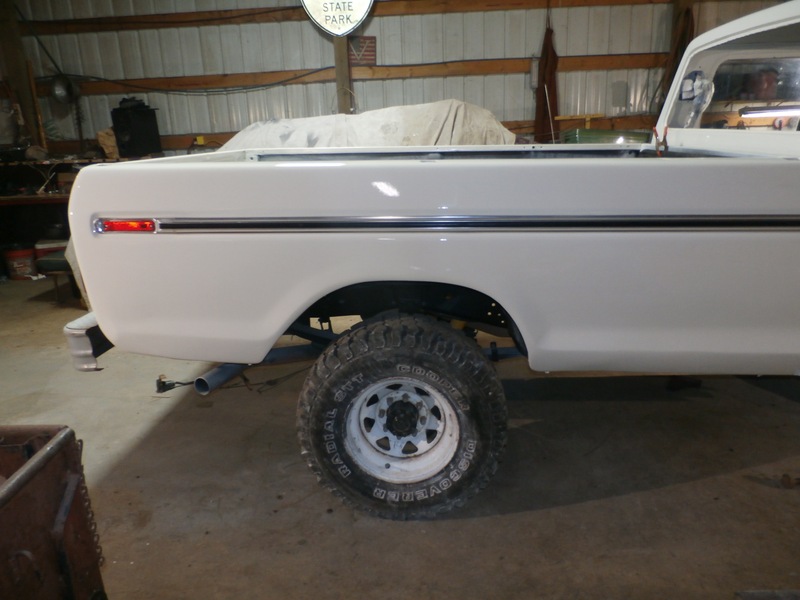 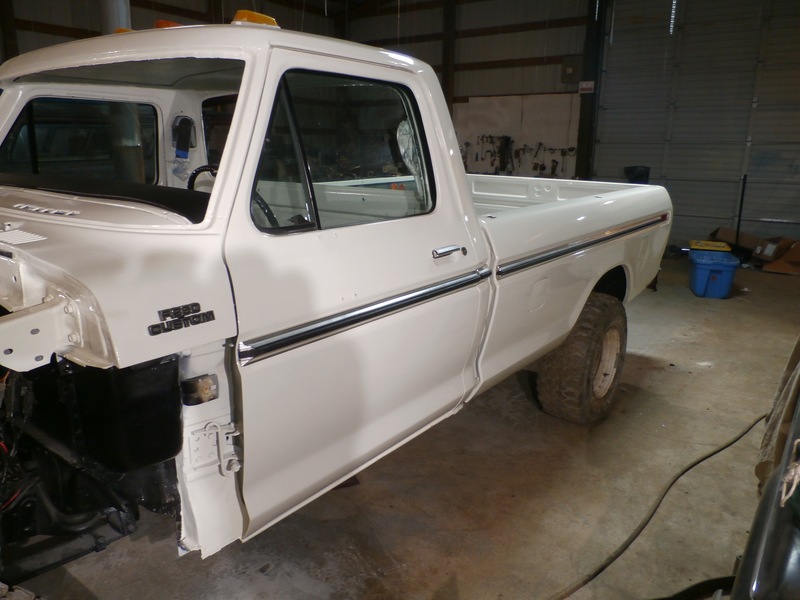 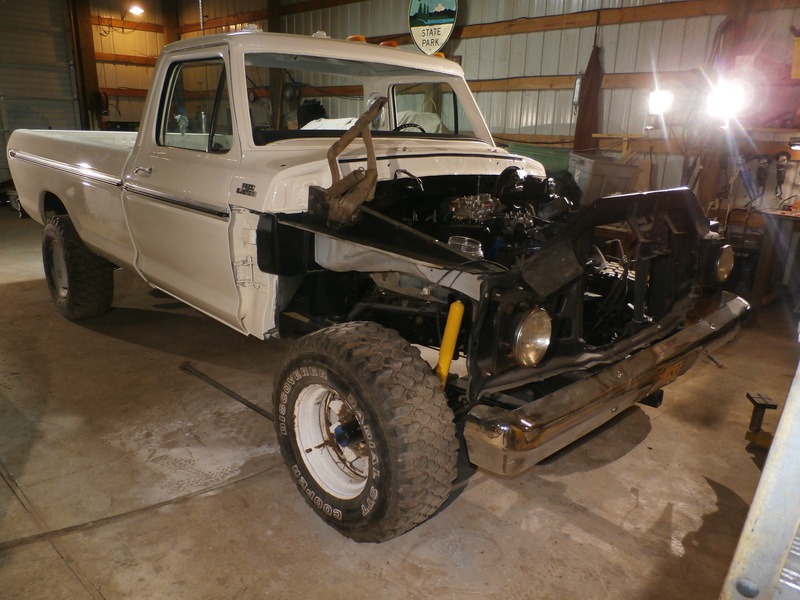 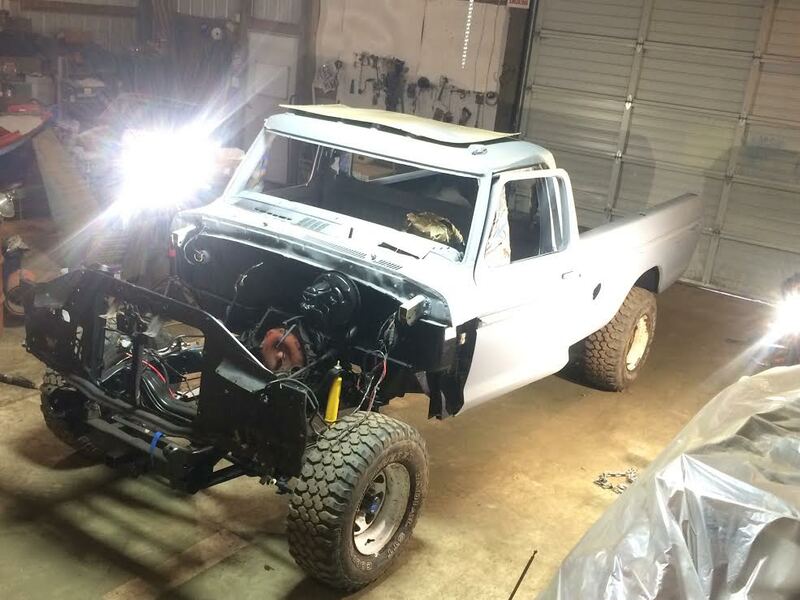 We have begun the restoration of our beloved F-250 4X4, with a 400Ci V8 and Auto trans. 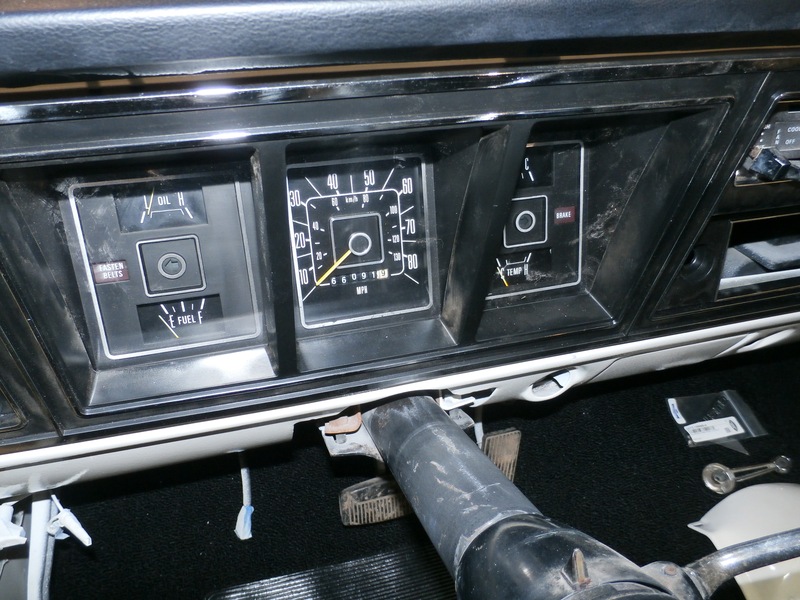 The transfer case is solid and all mechanical parts shift smooth and quietly. 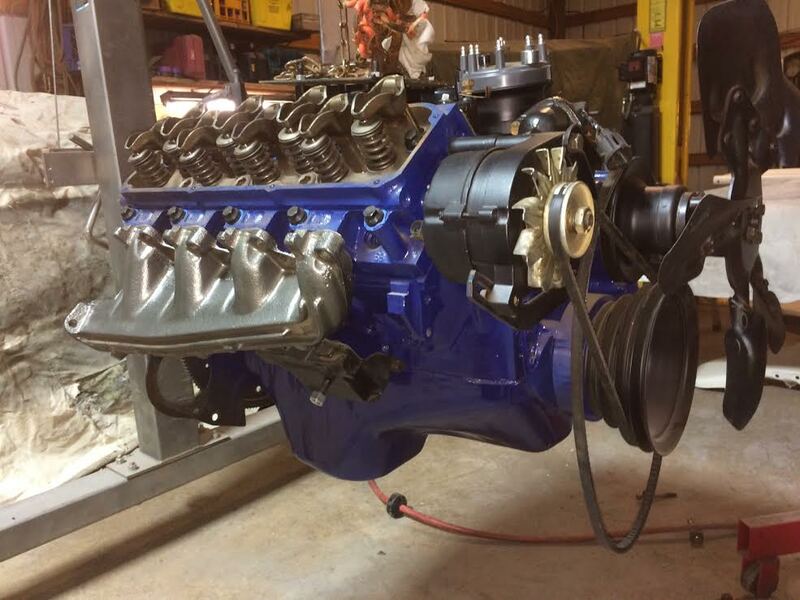 The engine was rebuilt it’s first time, being bored .020 over. 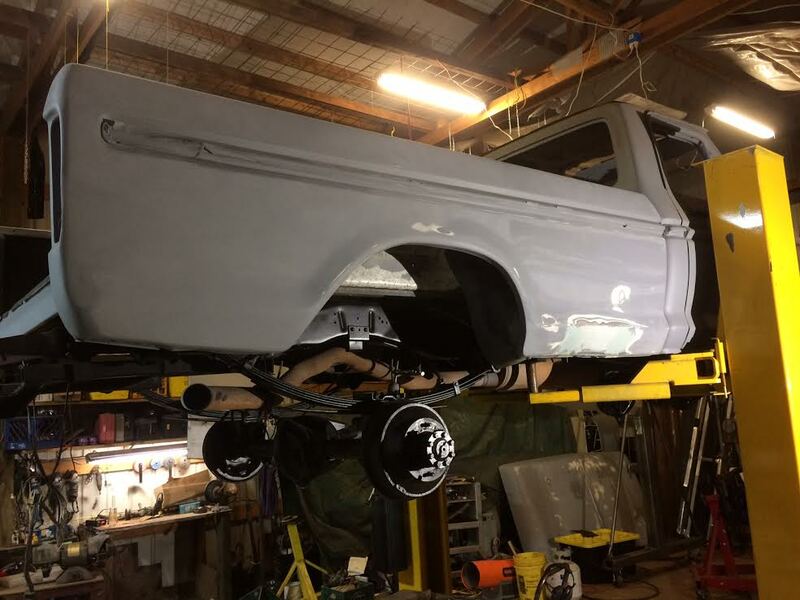 We started the body work and it is getting ready for paint as I type this out..We will have it on display at the Portland Auto Swap Meet in 2017, with an indoor space right by the main entrance!! 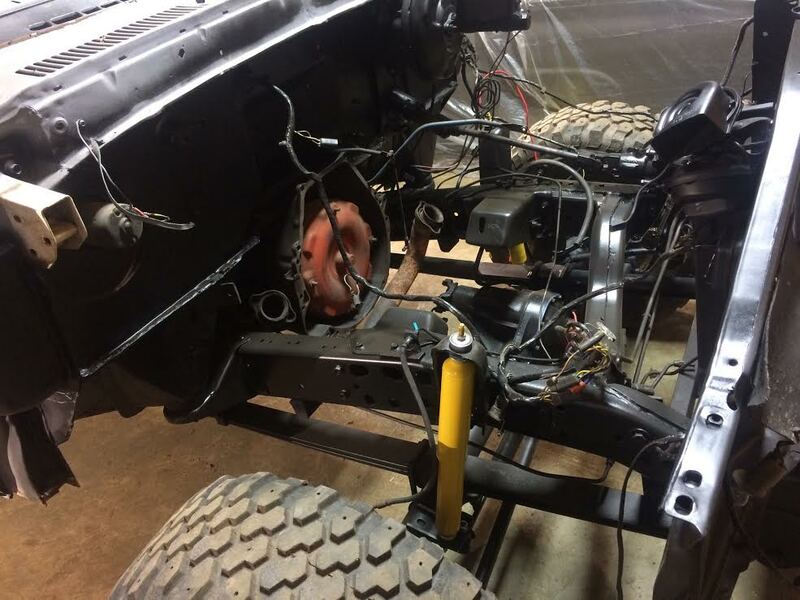 Things have progressed a lot, with the underside and frame being treated, and painted, as well as the new shocks hung, and firewall painted. 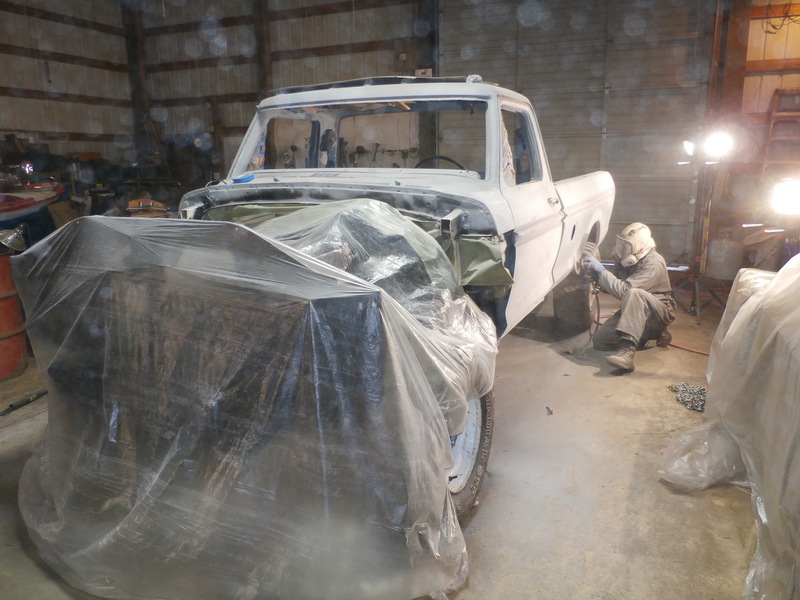 We cleaned up the wiring harness as well, and made sure everything worked before we dismantled it for paint and body work. 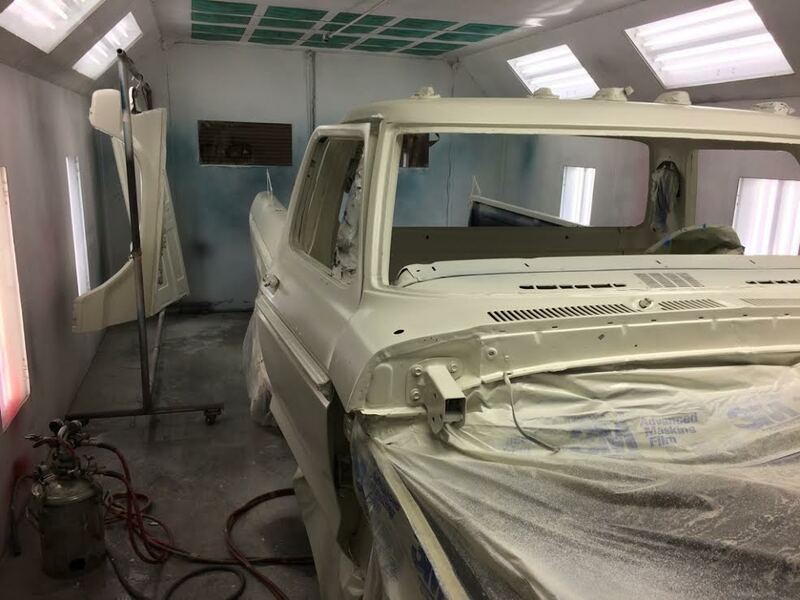 Monday, March 20th, it was painted and clear coated. 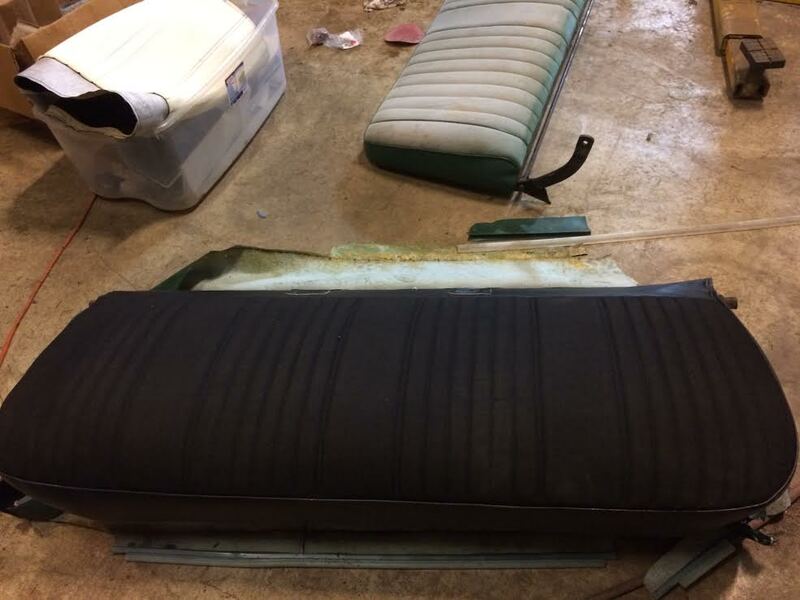 New lower seat bench upholstery and cushioning. 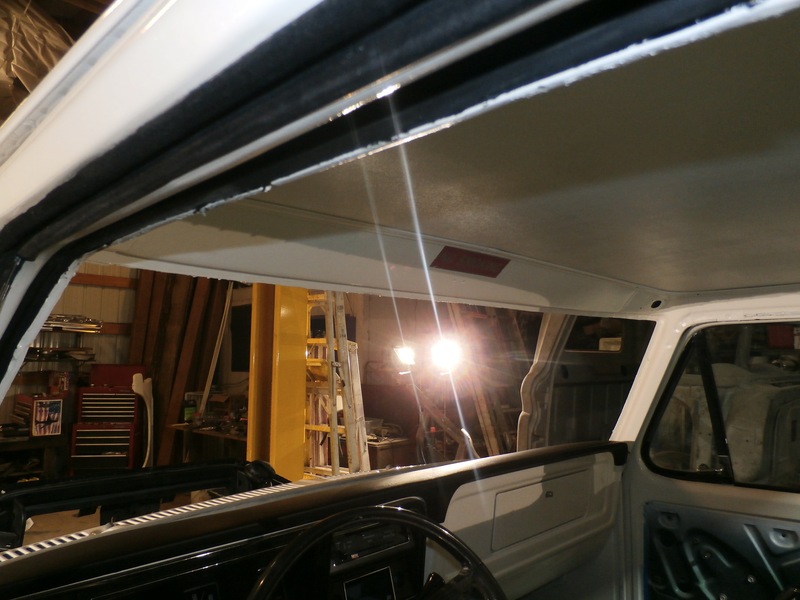 It feels super nice, and is solid too. 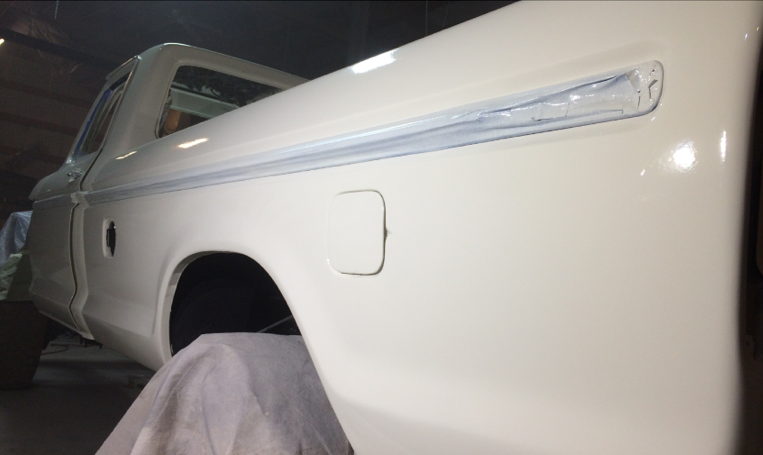 Yesterday and today, we shot 6 quarts of basecoat on the Ford, and it looks super. 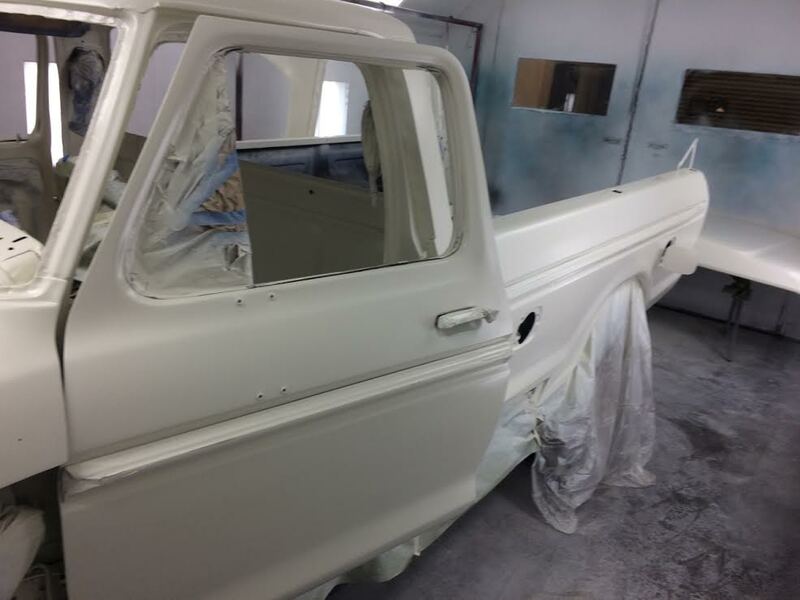 Just to be sure it really pops, we color sanded the basecoat as well, and will shoot out clear coats tomorrow. 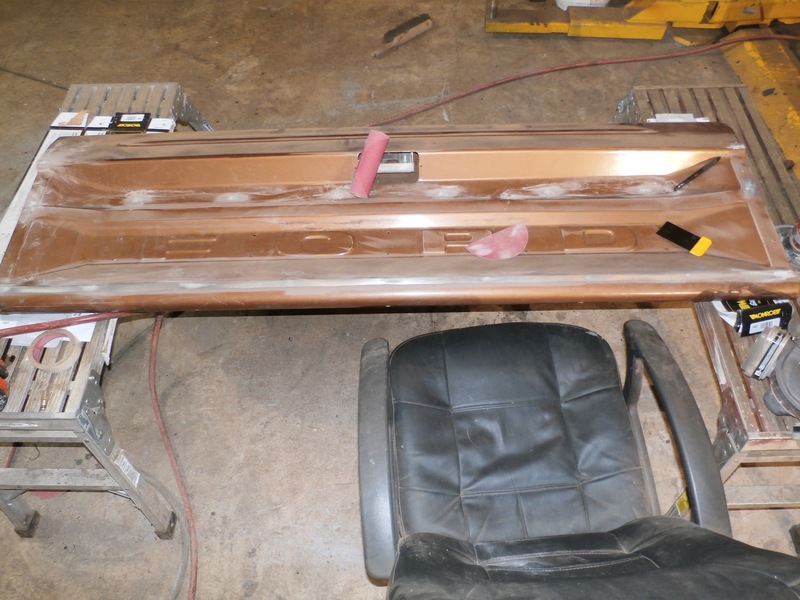 Then, it comes home to our shop to cure, and be assembled with all new interior parts, door seals, and window scrapers. 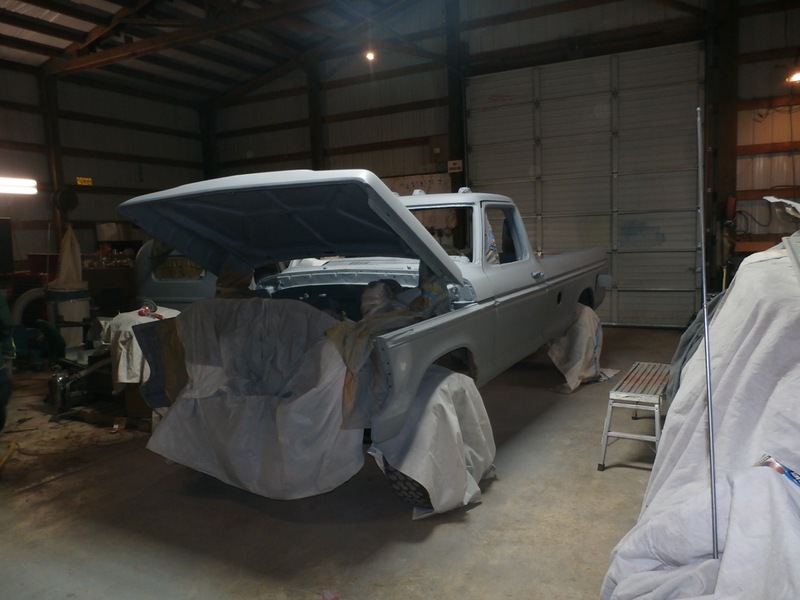 Sadly, I dragged my hose over the corner, so I have to sand down a portion of the clear coat, and will do a re-spray of the bed. 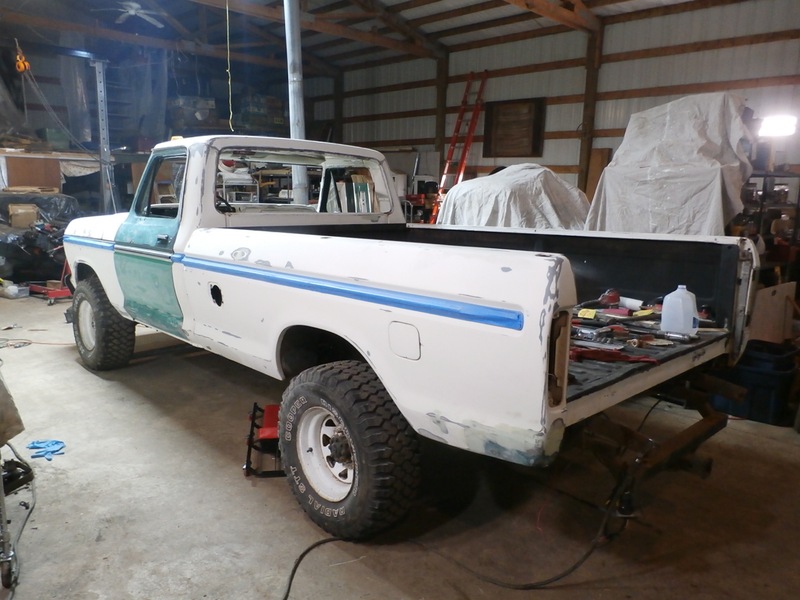 Not a big deal really, but it did make for a bit more work. 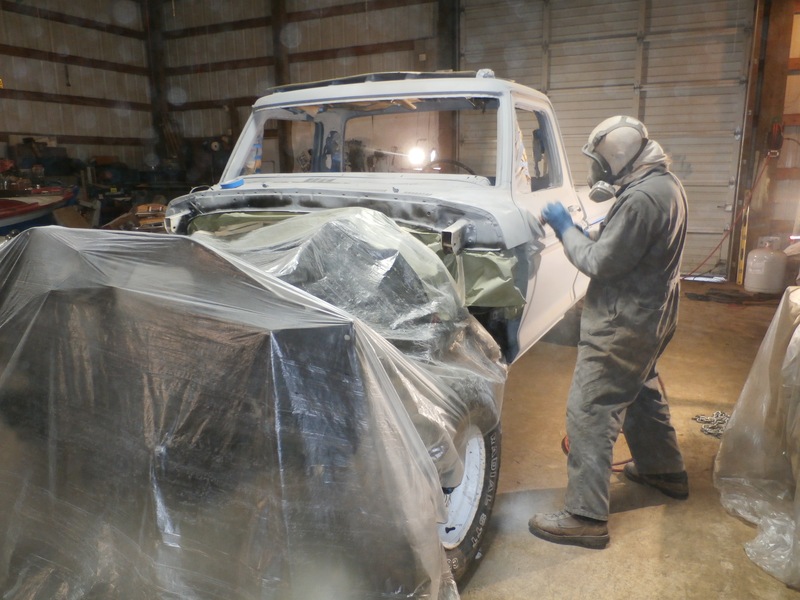 See the 4×4 Suburban back there? 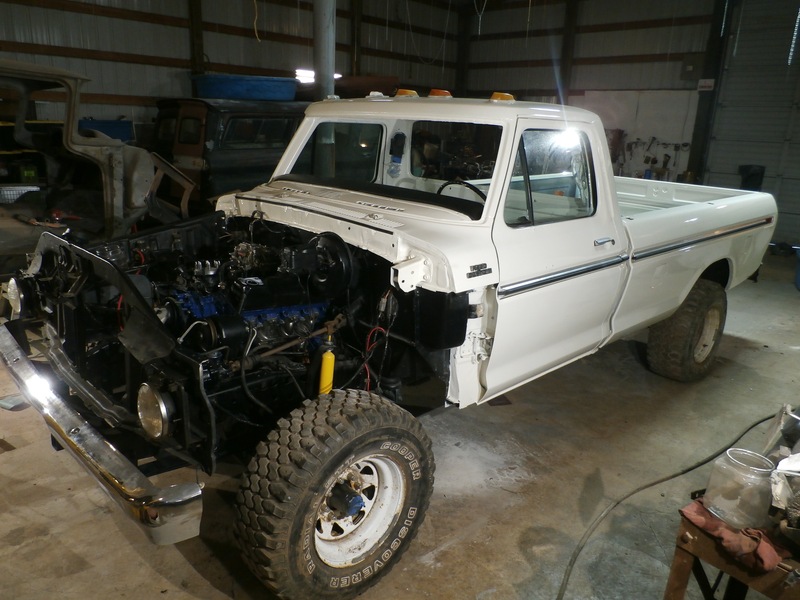 It is about to get a Turbo 6.2 Diesel and leaf spring upgrade! 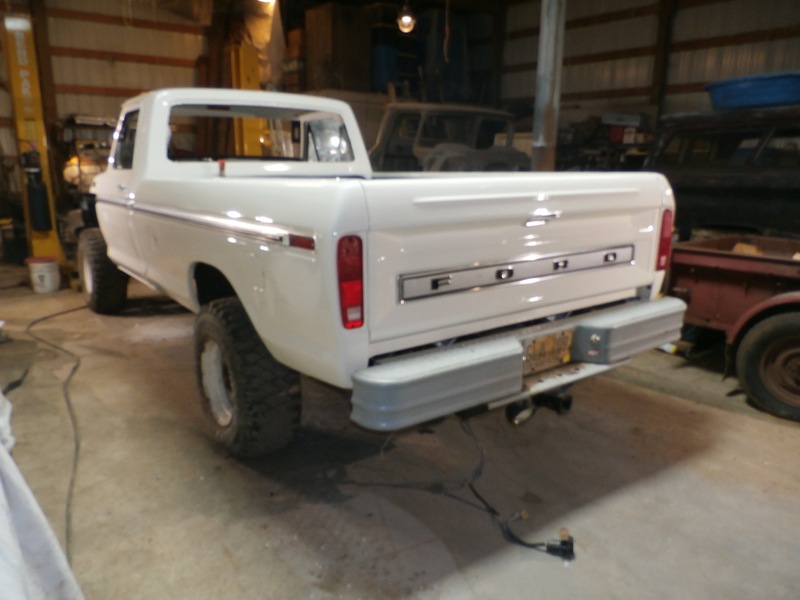 We have made progress on a number of things, but the Ford has seen a lot of attention. 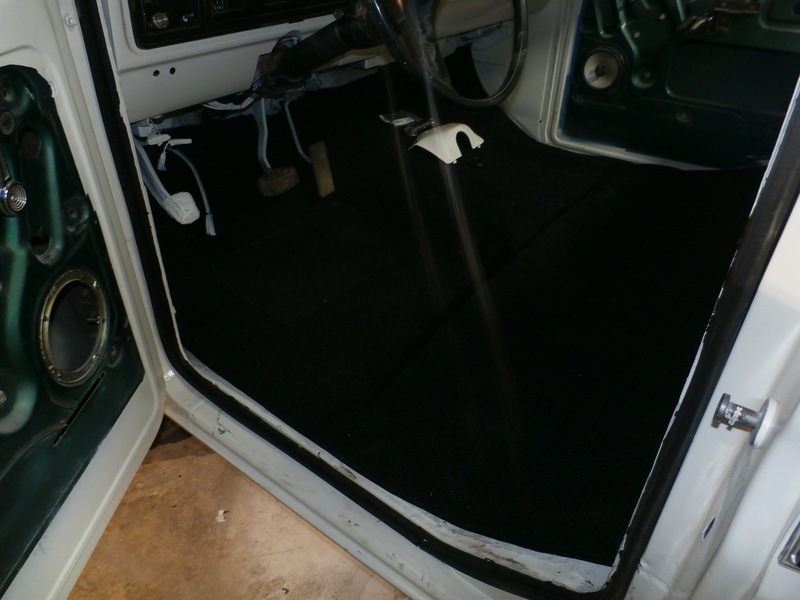 New dash cluster, dash pad, headliner, carpet, upholstery, door panels, and all new door seals and window scrapers. 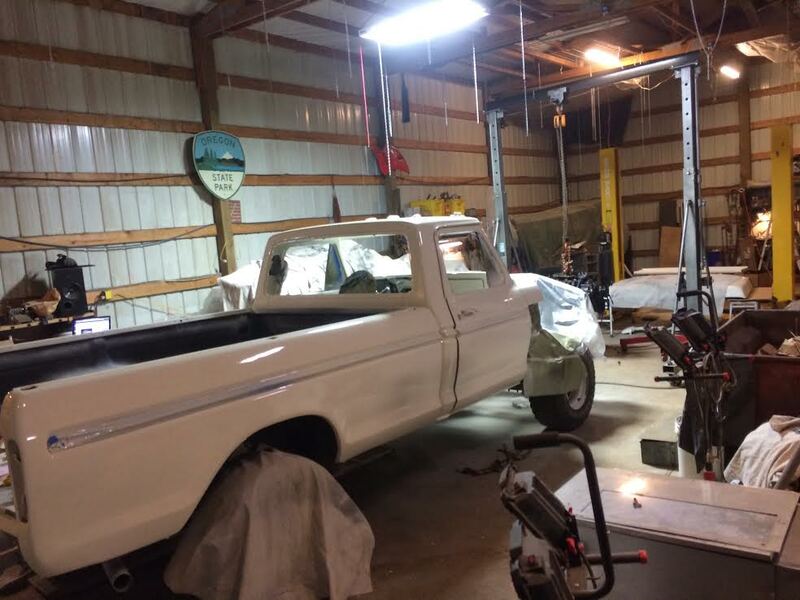 It is starting to feel like a new truck! 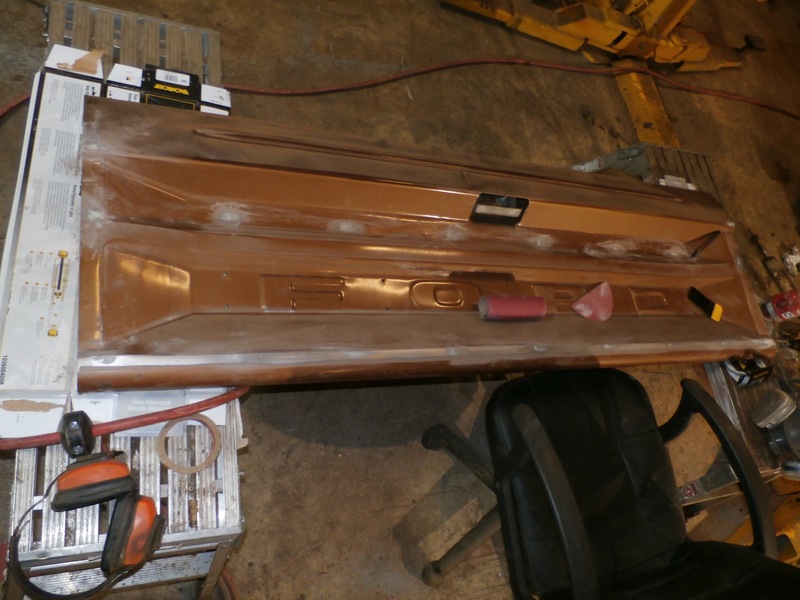 We finally went ahead and put the windows back in, and replaced all of the scrapers for the glass too. 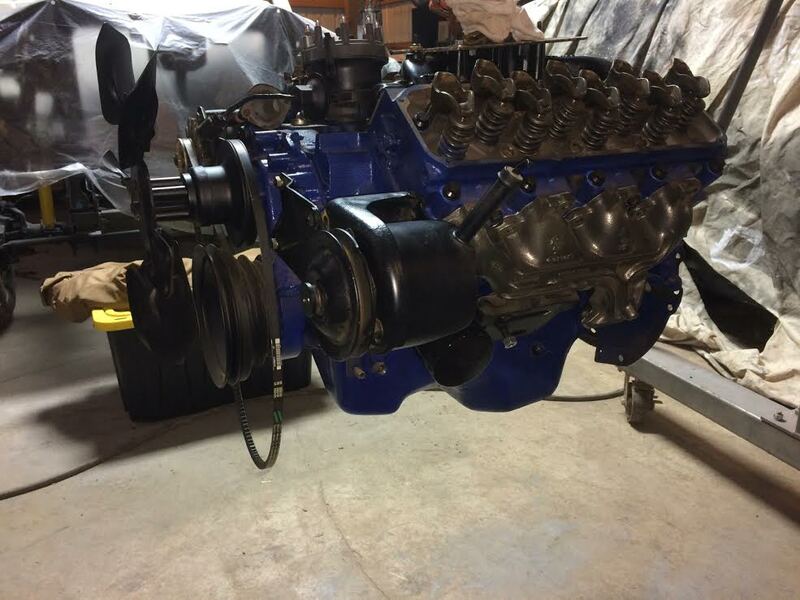 All new seals and rubber. 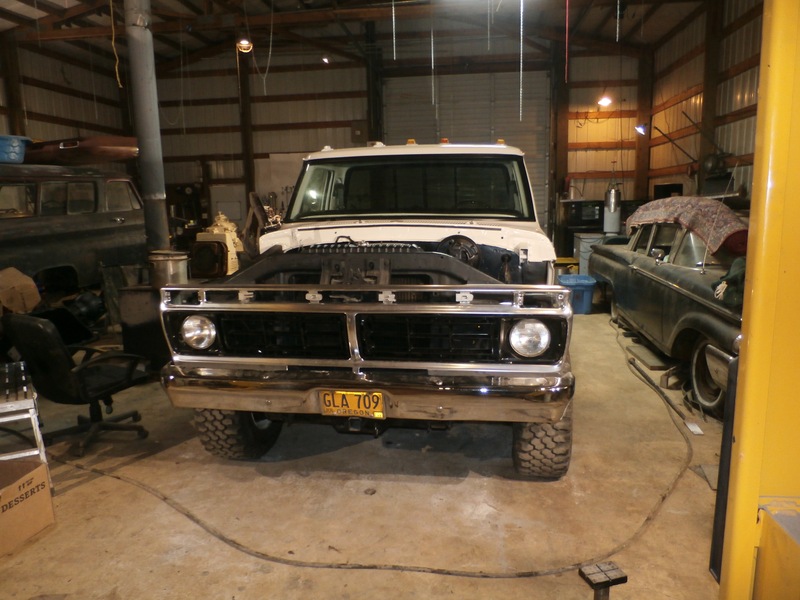 Brand new grill and inserts as well, and of course, new lenses for the front and rear. 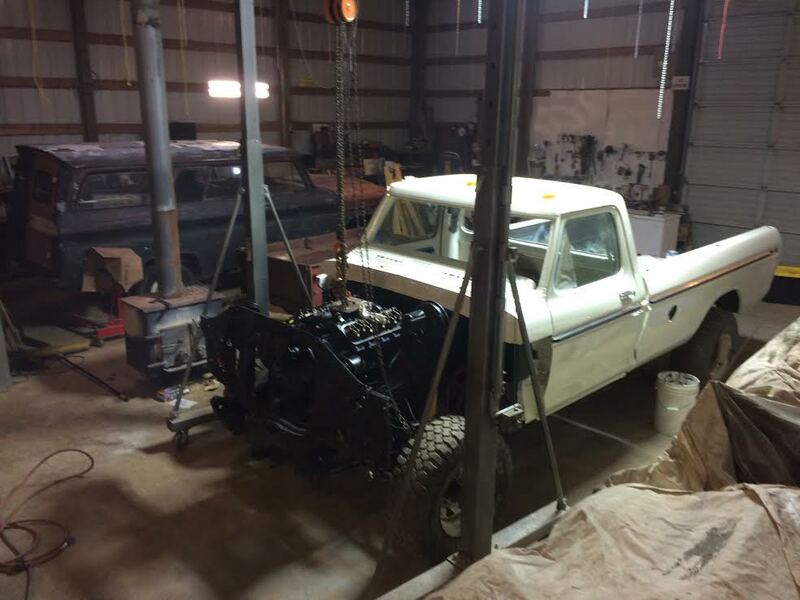 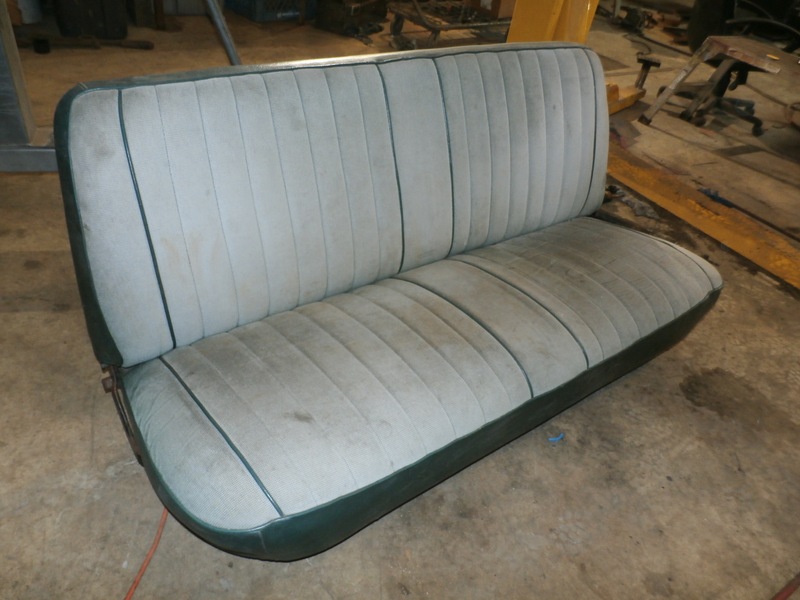 Battlefind will gladly restore your machine, either partially, or frame off total restoration is also offered.